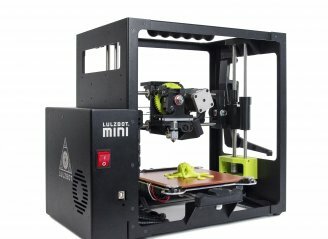 OSMM Wins a LulzBot Mini! The OSMM team is excited to announce another printer for the stable – a LulzBot Mini! Many thanks to LulzBot for selecting Ocean State Maker Mill as a winner in their 4th Annual Hackerspace Giveaway! Check out the specs on this slick little printer for yourself (or maybe pony up and get one of your very own) at LulzBot.com. OSMM and 3DPPVD folks, we’re expecting it soon, so stay tuned for updates on arrival. ← Have you seen the PonyTrope?